This soap combines spa-quality luxury with essential hygiene for maximum skin health. The high quality ingredients and thick, rich lather yield a pleasing washing experience while the soap deep cleanses excess dirt and oil along with odor-causing bacteria, to protect against blemishes. Helps prevent blackheads, pimples and other skin imperfections, as well as eliminating unpleasant body odor. O'tentika® Hygienic Complexion Soap offers several advantages as an antibacterial hygienic soap. Most importantly, it continues to provide antibacterial protection even after you dry your skin. That's because the hygienic soap is not just antibacterial and antiseptic, but is also bacteriostatic: it inhibits bacterial growth and reproduction after application for ongoing skin health and protection. 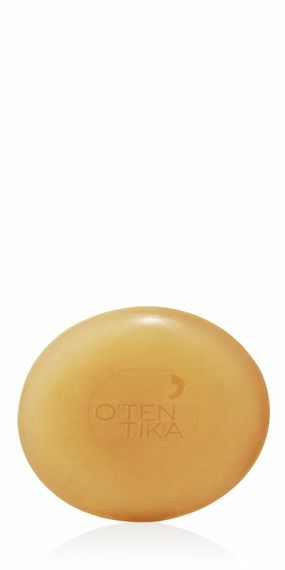 Like all similar beauty products, O'tentika® Hygienic Complexion Soap is intended for external use only. Avoid contact with the eyes, and if irritation develops, discontinue use. Do not use on children under the age of 12. Finally, watch out for an excess of healthful energy as you protect yourself against the bacterial world.